The Tutorials present on this website are designed to be half way between a standard text book and a teacher. In that they present explanations of the material presented and then allow the student to practise constantly changing questions until the material is mastered (except for the "Fun with Figures" Tutorial with is fixed in nature). As the range of material available is still being developed, it would be useful to be able to handle the Times Tables up to 10 x 10 mentally. As you work through the material (practising on a regular basis) the range of calculations that can be performed mentally should gradually increase. 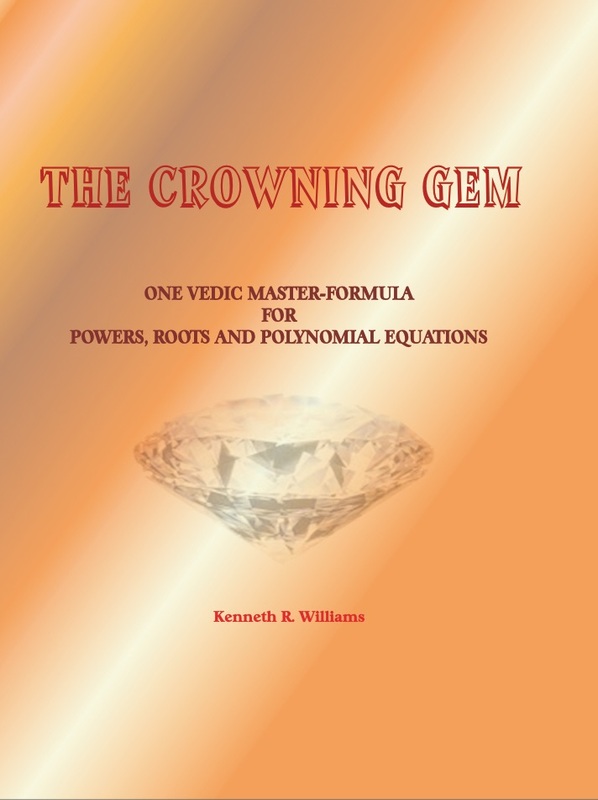 We suggest you start with original Tutorial "Fun with Figures", as this gives a simple introduction to some of the simpler applications of Vedic Mathematics. Then move on to material available in the Books, working through the chapters in order. N.B. it is not necessary to work through the chapters in order, but the books have been designed to build on the work presented in earlier chapters. So missing out chapters or skipping between the Books may create some confusion if not performed with due care to what material has already been learned. Vedic Mathematics is designed to be practised mentally. So we suggest you practise all the tutorials in each chapter this way. The Tutorials have been specifically designed to aid in mental calculation, in that they present questions without answers and indicate whether the student answered the question correctly. This forces the student to think about why they got a particular answer wrong and attempt to correct their misunderstanding before moving on. The Vedic Traditions are less concerned with getting everything right first time and within a specific timeframe. It is considered that individuals progress at their own rate and that there is no need for punishing incorrect answers. All that is required that the student try to answer questions correctly and work out why they get any answers to questions wrong, along the lines of practice makes perfect. N.B. if the student gets completely stuck and cannot work out why they are getting a question wrong, then this is the point where advice from a teacher should be sought, rather than getting stressed and frustrated over getting answers to questions wrong. It is expected that that you will gain an understanding of the material presented on the first pass through each chapter, but not necessarily master it. So it is expected that you will have to return to each chapter on a regular basis and practise the material again until it is mastered to an unconscious competence level i.e. where you do not have to think about the questions but just work out the answers automatically. We suggest that practise is performed for short periods on a regular basis.